The Smarter 140s may be a basic sort of machine but it is thoroughly modern in it’s execution. Clean, bright and convenient. Integrated needle threader – The integrated needle threader makes threading fast and easy. 6 mm adjustable Stitch Width – Convenient for all types of sewing, such as appliqué, mending and decorative techniques. Easy to achieve your desired result. PFAFF® Original presser foot system – Five different presser feet are included for all your basic needs. The system also makes sure you can use the same presser feet on any PFAFF® machine. To change the presser foot, just snap it off and snap the new one on. No screw driver or other tools are needed. LED Lights – Long lasting light source that illuminates your sewing projects with a crisp light. Hard Cover – Protects your sewing machine when transporting it and keeps it dust free. 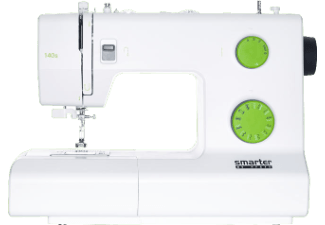 Variety of stitches – Smarter by pfaff™140s has 21 stitches including utility stitches, decorative stitches, stretch stitches and a buttonhole. Smart grip dials – Each dial shows stitches and numbers to make selection fast, simple and clear for you as you go. Adjustable Needle Positions – For exact placement of your straight stitch while topstitching, sewing zippers or special techniques such as piping. Adjustable presser foot pressure – Presser foot pressure can be adjusted for specialty techniques such as quilting and sewing stretch seams. Always achieve a perfect result whether sewing light or heavy fabrics. Optimal Feeding – The Seven Point Feed Dogs support the fabric on all sides of the needle while feeding your fabric perfectly. Makes your sewing smooth and pucker free. High pressure foot clearance – High Presser foot clearance makes room for bulky projects or several layers of fabric. Accommodates even the thickest quilt when you’re quilting. Top loading bobbin – Easy access and good visibility makes it faster and easier to check and/or change bobbin thread. 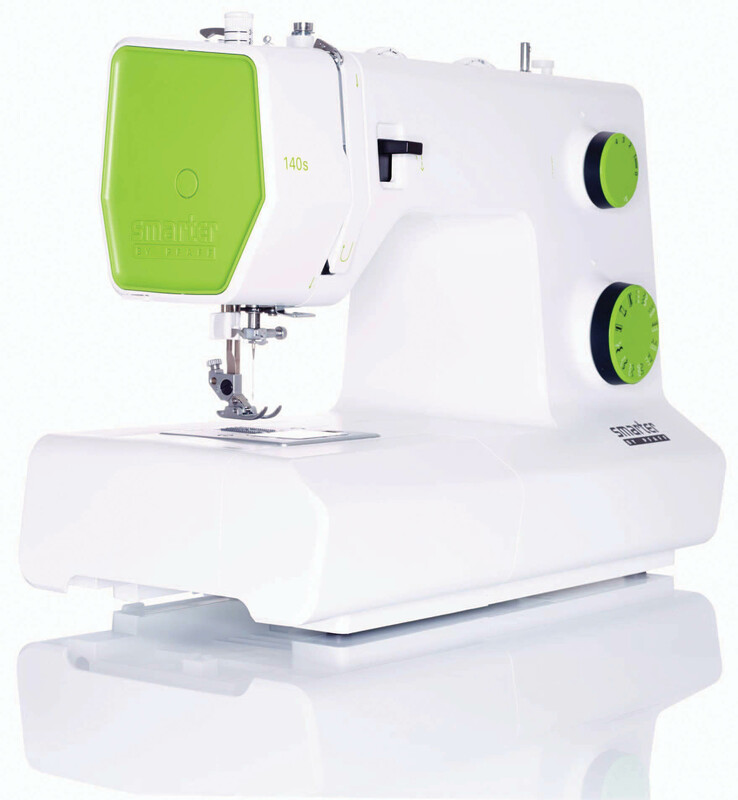 Free arm – Free-arm is perfect for sewing cuffs, necklines, hemming pants and more. The needle is close to the edge of the free-arm for greater control and easier access when sewing. External feed dog drop – Easily accessible on the back of the free-arm. Lower feed dogs for special techniques like free-motion quilting, thread painting and button sewing. Thread Cutter – A thread cutter is conveniently located on the side of the machine. It is easy to use and you’ll never have to worry about finding your scissors. Accessory tray – Removable accessory tray makes your sewing surface bigger and keeps all your accessories in order.